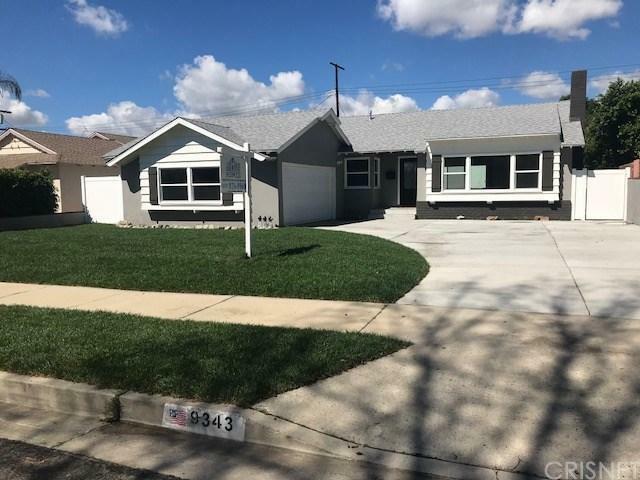 GORGEOUS TOTALLY REMODELED INSIDE AND OUT NORTHRIDGE 3 PLUS 2 HOME. BEAUTIFUL REMODELED DOUBLE VANITY BATHROOMS . BOTH BATHROOMS HAVE DOUBLE SINKS WITH GORGEOUS TILE THROUGHOUT . 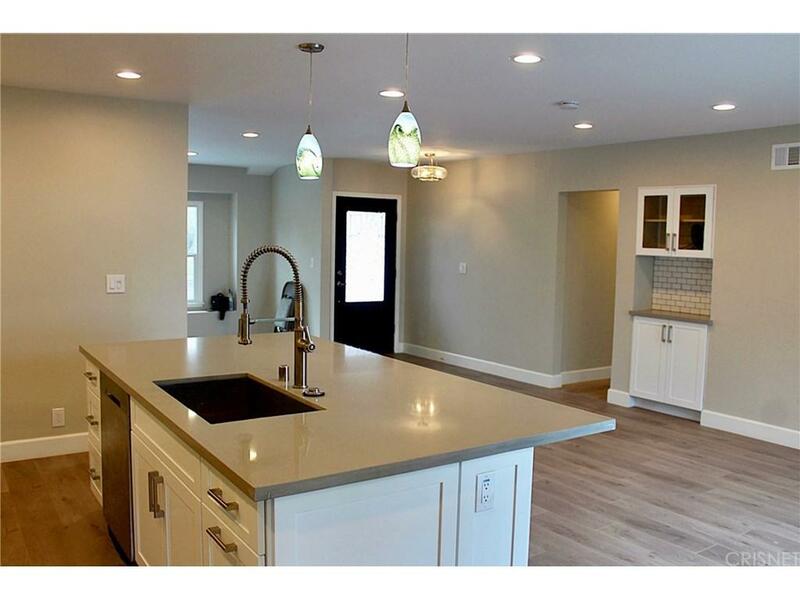 GORGEOUS KITCHEN WITH WHITE SHAKER CABINETS, BEAUTIFUL ISLAND INCLUDING LARGE SINK AND FAUCET. TREMENDOUS AMOUNT OF ROOM FOR STORAGE IN KITCHEN AND IN ISLAND . KITCHEN HAS TILED BACKSPLASH AND ALL DRAWERS ARE SELF CLOSING . NEW RANGE, MICROWAVE AND DISHWASHER. WILL INCLUDE REFRIGERATOR IF PRICE IS RIGHT . LED LIGHTING THROUGHOUT HOUSE AND BATHROOMS. BRAND NEW LAMINATE FLOORS THROUGH OUT. THERE IS A SMALL SEPERATE LAUNDRY ROOM NEXT TO KITCHEN WHICH HAS CABINETS AND A COUNTER TOP. HOUSE NEWLY PAINTED INSIDE AND OUT , STUCCO REDONE AND A ENTIRE NEW ROOF . ALL NEW ENERGY EFFICIENT WINDOWS THROUGHOUT, BRAND NEW FURNACE AND AC UNIT AND WATER HEATER . NEST THERMOSTAT SYSTEM WITH BRAND NEW GARAGE OPENER AND SYSTEM. NOTHING MISSING ..WE EVEN PUT IN A BRAND NEW CONCRETE DRIVEWAY. BRAND NEW SOD WITH ENTIRE NEW SPRINKLER SYSTEM . 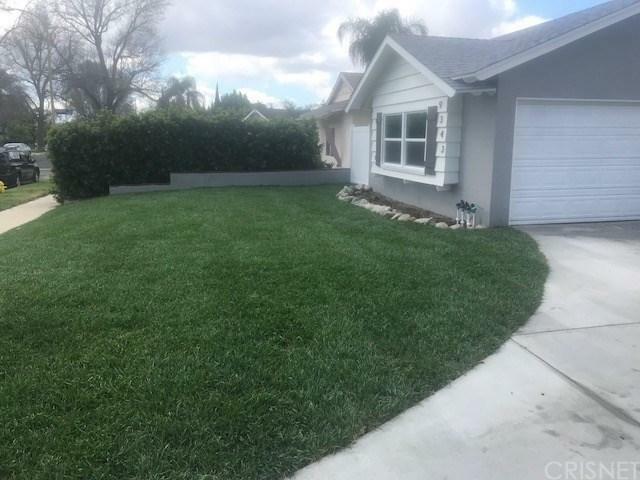 PLEASE HURRY THIS HOME WILL NOT LAST ... CLOSE TO CSUN , RESTAURANTS AND THE MALL. 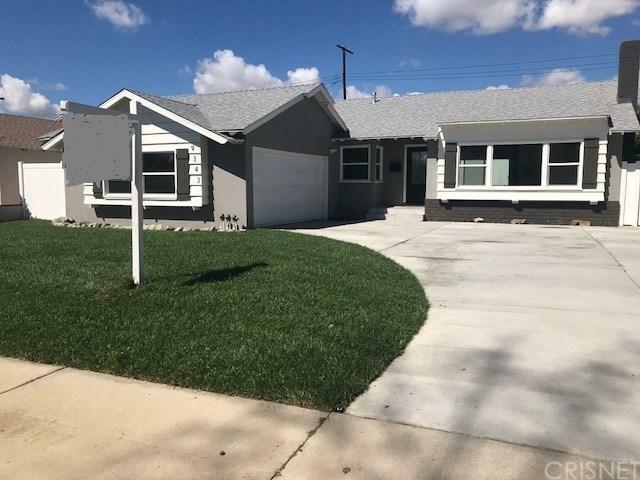 Sold by Nonmember Agentdefault BRE#01339864 of Crmls4. Listing provided courtesy of Mark Gershick DRE#01339864 of On The House Homes and Mark Fausner CA DRE# 00823276 of On The House Homes.